In this tutorial I am going to show you how effectively can be optical attachments to create dramatic images of products, and how easy and fast to work with such light modifiers. In this particular shot I was using Broncolor lights, two of them, but options are not limited by Broncolor strobes and light mods. Below is the final image with just a minor post-production, this is what I’ve got right from the camera. 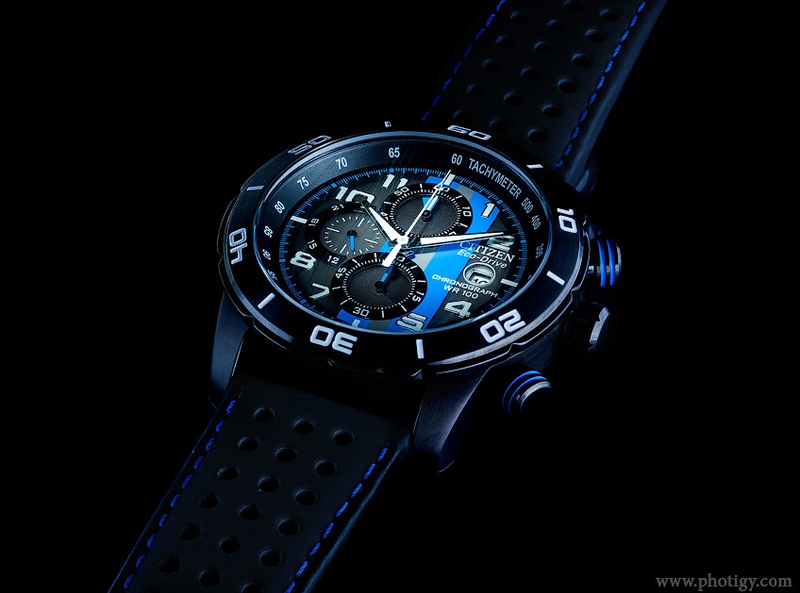 Notice how the dial was highlighted: it creates that “glow from inside”, cool look which adds drama to a product shot. Below is a recorded video (over an hour) of a product photography tutorial, and will guide you through each step of creating this image. I also explain what kind of light modifiers can be used to achieve such look of product shots.